Promoting your business whilst you and your employees are out and about in your company vehicles is a must for creating brand awareness and reaching out to new customers. 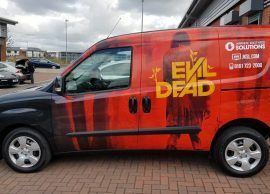 If you’ve been put off previously by the thought of vehicle downtime or high costs, then our vinyl wrapping services are the perfect solution for branding your fleet vehicles. From single vehicles to large fleets, and small cars to large trucks and vans, Wraps & Tints, Chorley, can complete the whole process smoothly and efficiently. Whatever the colour or design, we can apply it to any vehicle with our vinyl wraps. 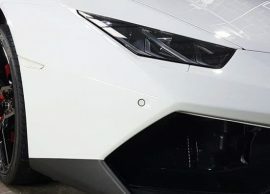 We only use premium materials, including 3M and Hexis vinyl films, to ensure that we do our work justice and that your vehicle wrap is durable and will stand the test of time. Choose from our extensive range of colours, styles and finishes to create truly bespoke fleet vehicle wraps with impact. At Wraps & Tints we know how precious your time is as a business and so we endeavor to do all that we can to make the process of vinyl wrapping your fleet vehicles simple. If you can provide us with a well-lit indoor environment that provides enough space for us to work and is free of dust or debris, then we are more than happy to apply your vehicle vinyl wraps on-site, for no extra charge.